This First Aid Requirements and RIDDOR training course is designed to help you understand what first aid personnel your business requires. It also tells you what kind of accidents and injuries need to be reported, as well as how to go about this. CPD accredited and RoSPA approved training to help you work towards compliance with legislation. This First Aid Requirements and RIDDOR course is designed to be used by both managers and employers to help decide what first aid personnel they require. It also explains what has to be reported to RIDDOR, who should do this and how. First aid can save lives and prevent minor injuries from becoming major ones, so having people with the right training in the right places is essential for the safety of your staff. RIDDOR stands for Reporting of Injuries, Diseases and Dangerous Occurrences Regulations 1995 - these govern the reporting of accidents at work. According to the HSE, in 2015/16, 621,000 workers sustained an injury at work, yet only 72,702 injuries and workplace accidents were reported to RIDDOR. Not reporting an accident is a criminal offence and can cause major complications for businesses. Make sure you understand your responsibilities and know how to report to RIDDOR with our First Aid Requirements and RIDDOR Training. This training programme is designed to be used in conjunction with our First Aid Appointed Person Training. This title is specifically for work environments with a relatively small number of employees, and where the risks are low. This eLearning course only provides awareness education. Face to face training would be needed in addition in order to complete all-round skills and knowledge to be able to carry this forward practically in your organisation. The First Aid Requirements and RIDDOR Training course is broken down into 2 sections. First aid is all about dealing with an illness or injury quickly. But the number of first aiders and their level of training depends on how much risk there is, who the employees are and how many people work in a particular area. In this section we look at how you decide what is needed in your workplace. And we look at what training they need. RIDDOR stands for the Reporting of Injuries, Diseases and Dangerous Occurrences Regulations. Certain injuries and illnesses MUST be reported to RIDDOR and in this section we look at what needs to be reported and how this is done. This section includes Reportable Injuries, Occupational Diseases and Dangerous Occurrences. This First Aid Requirements and RIDDOR Training course concludes with a 20 question multiple choice test with a printable certificate. In addition, brief in-course questionnaires guide the user through the sections of the training and are designed to reinforce learning and ensure maximum user engagement throughout. Your First-Aid Requirements & RIDDOR Certificate includes your name, company name (if applicable), name of course taken, pass percentage, date of completion, expiry date and stamps of approval or accreditations by recognised authorities. Based on 31 real user reviews. Course kept crashing, eventually restarted, very frustrating, cannot download certificate. I was looking for a quick, comprehensive method to deliver H&S awareness & basic training in and around the workplace. I certainly liked what i saw & gave it a try. I will certainly propose the company continue down this road & flow this out to the managers and supervisors.I think the best feedback will be from the users after they have completed their part. Questuon and answer can be a little more clearer. Having completed the course, I've re-managed its allocations to our staff as it was more about the legal framework of First Aid and RIDDOR than its practical application in the workplace. No bad thing: I understand better, from the course, the limitations of what can reasonably be expected from staff. For those looking for more general RIDDOR guidance for staff, I recommend the Accident Reporting course. 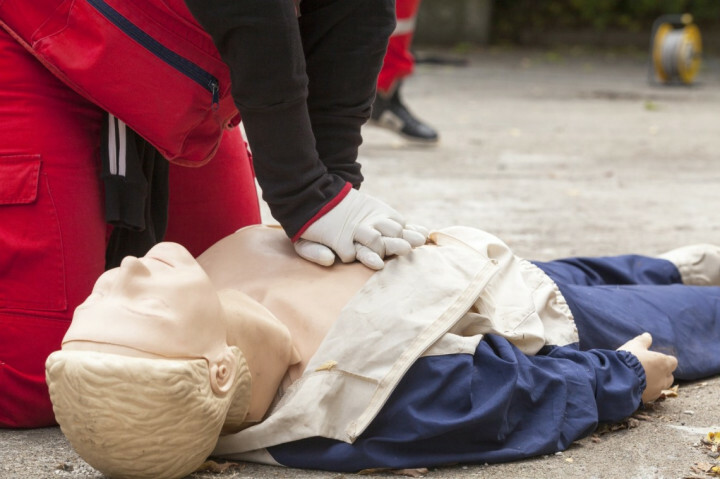 Read our full reviews for First Aid Requirements and RIDDOR Training. RIDDOR is the Reporting of Injuries, Diseases and Dangerous Occurrences Regulations 1995. First Aid at work relates to The Health and Safety (First Aid) Regulations 1981. Employers, those who are self-employed and those in control of premises are required by law to report serious workplace incidents (work-related deaths, major injuries, 7-day injuries (those causing more than seven days’ inability to carry out normal duties), work related diseases, and dangerous ‘near miss’ accidents). An employer shall provide, or ensure that there are provided, such equipment and facilities as are adequate and appropriate in the circumstances for enabling first-aid to be rendered to his employees if they are injured or become ill at work. Placeholder image for How many first-aiders do I need? How many first-aiders do I need? Placeholder image for Does first aid training need to be approved by the HSE? Does first aid training need to be approved by the HSE? Placeholder image for What is RIDDOR?